Children still have developing and growing spines, so it is important for parents to prevent any kind of dysfunction and stress due to various factors, including poorly designed schoolbags. 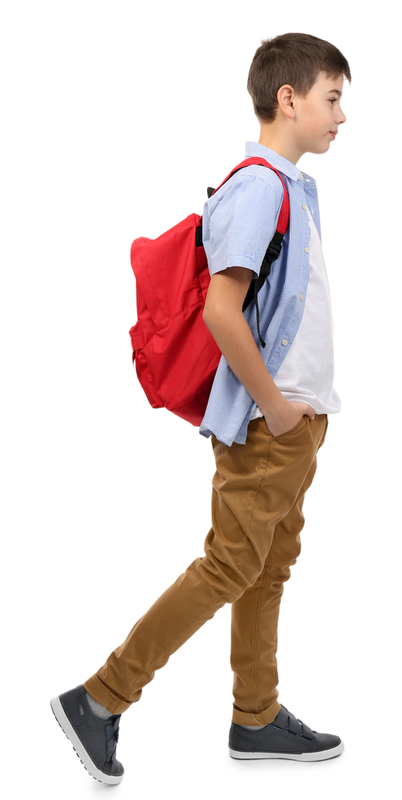 Children may incorrectly carry school bag, which could damage the natural curve of their spine. In fact, about a third of children are suffering from spinal issues, after carrying heavy schoolbags regularly. It can be considered a problem if students carry more than 10 percent of their body weight. Students may also have poor posture when carrying backpack and this risk can be magnified when they carry heavy load for a long period of time. Parents should make sure that they children have a good backpack and they have been educated on how to handle backpacks properly. Parents should actively evaluate whether backpack could cause problems to the overall health of their children. The bag shouldn’t weight more than 10 percent of the child’s weight. The bag should be carried on both shoulders to distribute the load evenly. Tell children that they shouldn’t hold the backpack by its strap in one hand. Backpack should also be packed correctly, so it has balanced weight. Children will need to attend the school for many years and improper use of backpack could result in health issues, which could limit their career prospects in the future. Parents need to plan ahead and prevent children from carrying too much equipment, such as art materials, musical instruments and sports gears. Discuss with the school administrators, whether these equipment can be stored safely in the school. When choosing a backpack, you should consider more than visual designs. Ill-fitting backpack could cause nerve impingement, muscle strain and back pain. The backpack should be appropriately sized and sturdy with proper widths and lengths. Make sure that the backpack won’t slip around during constant movement. Make sure that the backpack is sufficiently wide with padded shoulder straps that ergonomically match with the contour of child’s body. If possible, the backpack has additional chest or waist straps, so proper balance can be maintained and load kept close to the body. The backpack itself should be comparatively lightweight, but still sufficiently durable. Despite its lightweight design, the backpack must be sturdy and water resistant. Make sure that the material is firm to prevent the bag from sagging. To ensure that you can use the backpack for a long time, make sure that the base of the bag is reinforced or resistant to abrasion. It’s a good thing if the bag has adjustable waist or hip strap, so most of the weight will rest on the pelvis and hips, instead of the spine and shoulders. If your child rides back to school, make sure that the bag has hip or waist belt to secure the load. Good backpack design includes compression straps, which will draw the load together and the content will also be stabilized. Sternum strap can help to stabilize the load and make sure the strap won’t slip off the shoulders too easily.